When you hear of light therapy, probably what comes to your mind is the expensive procedures offered by spa specialist or a licensed dermatologist. However, there are other devices that you can use to achieve light therapy by yourself. These devices are called LED light therapy. They help you to take care of your skin at the comfort of your home. They are hand held and some are hand-free and comes with various light options for different skin treatment. With several brands on the market, you might find it challenging when it comes to getting the right LED light therapy. For this reason, we have selected top 10 best LED light therapy that will be a worthy investment. How to choose the best LED light? LED light therapy devices come with different color options. For instance, Red plus Infrared light penetrates the skin deeply. It helps to clear and tone your skin. This color is great for elastin and collagen production, which helps to heal wounds and scars. The Amber light offers less penetration of the skin and solves problems like sun burns. Lastly, the blue light effectively gets rid of acne causing bacteria. Additionally, when combined with red light helps to fade acne scars. Another thing to look for in an LED light therapy device is power out. These devices come with recommended power output from the manufacturer. In addition, it also shows the required treatment duration and the appropriate power output. The number of LEDs is very important because they determine the power output and consequently the number of skin treatment you can receive. Therefore, be keen on the number of LED a light therapy comes with. A powerful LED light therapy will take less time to treat an area. On the other hand, a less powerful one will take longer to do the same job. It is therefore, very important to look for one that the takes the shortest time possible to offer treatment. When shopping for an LED light therapy, ensure that it is FDA approved. This is important for safety reasons. FDA approved devices are not only electrically safe but also ensures the radiation received by your skin is safe as well. 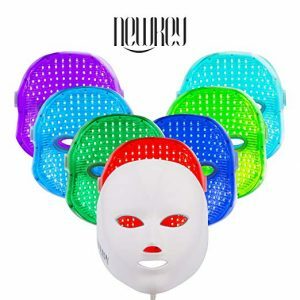 NEWKEY skincare and beauty mask is a non-heat producing LED beauty mask which offers 7 different colored lights with unrestricted times usage. It is affordable and it offers different results for different skin problems and all skin types by activating collagen, improving skin tone, desalting pigmentation, skin tightening and reduces wrinkles. The light is absorbed by skin producing light energy which is then converted to intracellular energy which stimulates fiber cells and tissue collagen. Ensure you lie down in and wear goggles to ease uncomfortable experiences. • Uses 150 LED lights that are of high quality and produces no heat. • It is suitable for use on all types of skin. The LV Beauty LED light therapy mask comes with 150 LED lights that helps to enhance and treat your skin. 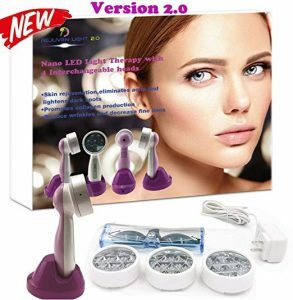 The LED light has 7 colors that work efficiently to shrink pores, fill collagen, fight acne, eliminate fine line and wrinkles energize skin cells. The lights include red, white, blue, purple aqua and green. Additionally, this device comes with 30-day free return in case of any dissatisfaction. 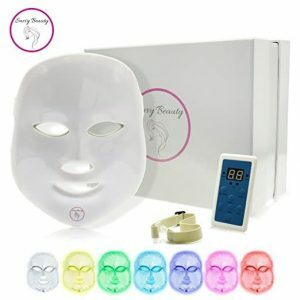 Savvy Beauty`s Light Therapy Mask is the ultimate anti-aging warrior. It is designed for facial beautification by use of natural and pleasant light waves allowing relaxing LEDs to be transmitted into the skin. This light activates photoreceptors in skin produce energy allowing skin to revitalize and build up collagen making your skin young, supple and wrinkle free. This LED light therapy produces 7 different color LED lights that are non-heat and are radiation-free. 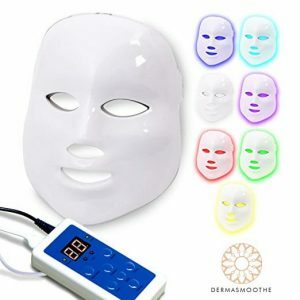 The LED wavelengths are absorbed into the skin and then converted to cell energy that helps in increasing skin elasticity and repair of aging skin, acne and improves firmness. 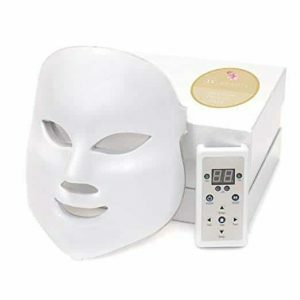 • It comes with 5 levels of intensity and you can also set timer for your skin treatment duration. • This device is made with lightweight materials and highly durable and reusable. • A one-year manufacturer’s warranty and a 60-day satisfaction guarantee is offered. The Mesotherapy light LED therapy uses electrical currents to stimulate muscle tissues to preserve elasticity and suppleness of the skin. Additionally, this device uses electroporation process to enhance production of collagen into the skin. 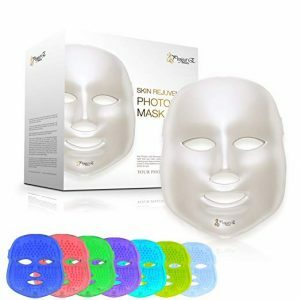 Further, more it comes with 6 LED light functions that aids in skin whitening, clear and brighter skin, detoxification and stimulation of collagen. Lastly, the LED lights also works great when it comes to treating acne lesions. • This device relies on power supply and takes 3 hours to be fully charged. • It is accompanied by a charging stand, power cable and a user manual. The FDA has cleared this LED red light therapy cause of its effectiveness in improving skin texture which is seen after few sessions of using it. The technology used is derived from NASA and is very effective when it comes to dealing with skin problems caused by sun damage and aging. 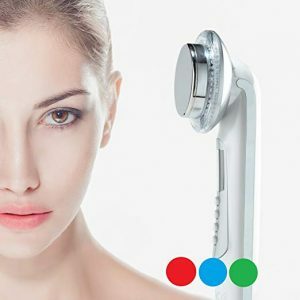 Before using this device, your skin should be clean from any dirt or make up. Additionally, for safety measures goggles should be used to protect the eyes from the light. • Comes with 97 individual LED lights that can cover up to 4 inches of your skin. • It is cordless therefore you can move about with since it is also hand held. This LED Light Therapy is a softening revitalizing treatment for aging skin. It helps in dealing with a type of skin that is having breakouts or wrinkles and fine lines. This therapy is ideal for skin soothing and reduces burning sensation of the skin. Moreover, it minimizes the degradation of the skin, improves the moisture of the skin which heightens the circulation hence leading to a healthier skin tone. The penetration of the light deep into the body tissue is powered by Nano technology which brings maximum value. The new version of 2.0 brings about a hands free operation. 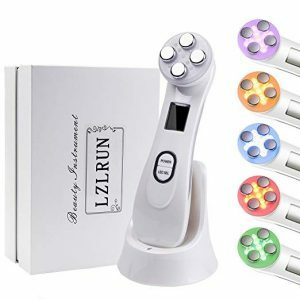 • Comes with 4 Interchangeable heads that produces different wavelengths for various skin treatment. The project E beauty LED light therapy mask is amazing when it comes to facial beautification. It uses natural light waves and LEDs to improve skin elasticity, reduce fine lines and wrinkles and decrease hyperpigmentation. Additionally, it comes with low to high power levels that you can set to achieve maximum results. For a complete improvement, it is recommended that you use this device for 10-15 minutes thrice or four times a week. After improvement, reduce usage to 1-2 treatment in a week. • It is highly portable and comes with a remote control, USB cable, power cord and a user manual. The device is best used with your ideal toner and serum on the face. The serum should be in liquid form and should be re-applied during treatment. The RED LIGHT increases blood circulation stimulating blood cells to excrete collagen which smoothens the skin. The BLUE LIGHT adjusts skin sebum secretion preventing skin breakouts. The GREEN LIGHT smoothens wrinkles and fine lines thus aiding in anti-aging. • Comes with free 1-year manufacture warranty. • Plug the machine when use it. 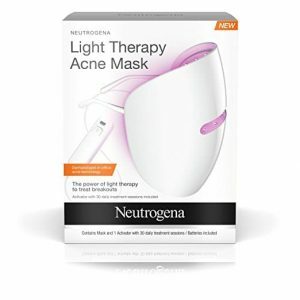 Our top pick Neutrogena Light Therapy Acne Face Mask uses clinically proven light therapy technology, is UV free and does not emit any UV light. It targets acne-causing bacteria & reduces acne inflammation. 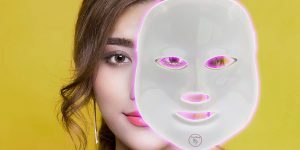 This one-step light acne treatment covers your face, is gentle enough on the skin and is easy to use in that after cleansing, put the mask on, push the button and let it work for ten minutes until it automatically shuts off. It is advisable to harness this light treatment and use it every day for a healthier skin. • Is gentle enough to be used on sensitive skin. • This LED light comes with one 30-treatment Activator. With the above top 10 LED light therapy devices, you will be able to kiss all your skin problem away and save money spent on several doctors’ visits. Just choose one that suites your budget and you will never regret it.